WAVES is the volunteer program for Wake Tech’s College & Career Readiness Division. We offer volunteers the opportunity to help other adults, from all walks of life, realize their educational dreams. On April 23, Dorothy McKelvie was presented with the Wake Tech Volunteer of the Year award for 2015 at the annual Excellence Awards ceremony. 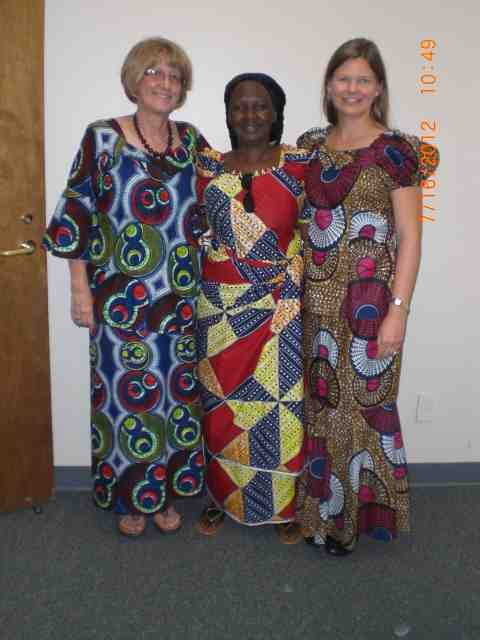 Dorothy has been a volunteer with Wake Tech’s ESL program since 2009. She has worked primarily with the refugee population in Shelley Lee’s ESL classroom, first at Wake Tech’s New Arrivals site and then at the Beltline Education Center, starting in 2015. 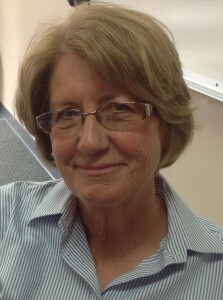 Dorothy is a real asset in assisting our ESL students and a tireless advocate for them as well. We are thrilled that she has won this well-deserved award. Twice a week, for the past 5 ½ years, Dorothy McKelvie has volunteered in a Wake Tech English as a Second Language (ESL) class working with refugee students. She started with a simple intention— to be a welcoming face. But she has become so much more to these students—a teacher and a true friend. In Shelley Lee’s ESL class, Dorothy helps a literacy group read, speak and understand English. Her effective teaching enables Shelley to provide targeted instruction for all her students. Through a combined effort, Dorothy and Shelley double their impact in helping these students succeed. Shelley’s students have opened a whole new world for Dorothy. Some fled their own countries, spent years in refugee camps, and came to Raleigh to start new lives. Many have little to no previous education, and all are so appreciative of our ESL program. Dorothy has gotten to know the students personally, not only in class but also through home visits, occasional rides to the doctor or to parent-teacher conferences, and most recently, while helping them transition to the new Beltline Education Center. According to Shelley, the students’ love and trust for Dorothy are unmistakable. When getting oriented to the Beltline Center, they practiced answering the question, “Who is your teacher?” Their consistent reply—“Shelley and Dorothy.” Even when Dorothy said, “No, Shelley is your teacher,” they insisted on saying both names. Mike Petersen, one of our College & Career Readiness WAVES volunteers will be the recipient of Purdue University’s “2014 Outstanding Alumni in Computer Science.” The ceremony will take place at Purdue University in West Lafayette, Indiana, on Friday October 10, 2014. Mr. Petersen has been a committed WAVES volunteer in our division for many years, and in addition to this newest recognition, he has also received volunteer honors from the Wake County Commissioners and was a Gold recipient of the US Presidential Service Awards in 2013. To earn this honor, he volunteered more than 500 hours with our Wake Tech “GED” students. Mr. Petersen continues to work with our students pursuing their High School Equivalency credential on the Main Campus and can be found there most mornings in ILC 106. 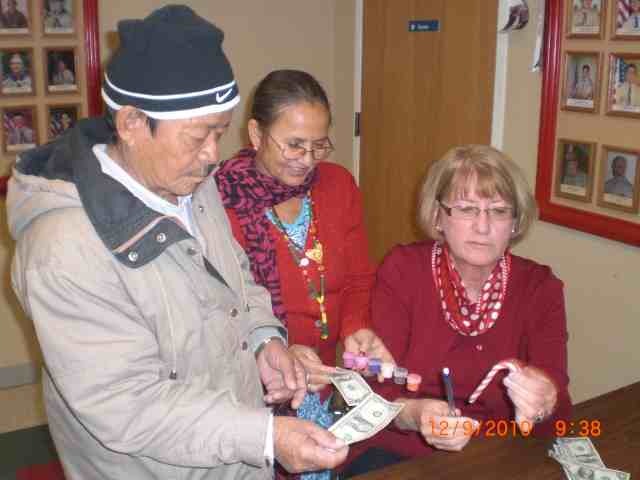 Dorothy McKelvie, one of our wonderful ESL volunteers with Wake Tech, has won an award from North Carolina State University’s Philanthropy Journal for 2013. Dorothy volunteers with students at our New Arrivals site, many of whom are refugees to the United States. A celebration was held on Monday, April 29, 2013, at St. Andrews Lutheran church, to honor Dorothy’s selfless service and many hours of tutoring and helping the students. Since 2009, Dorothy has spent over 300 hours of volunteer time with us!